If you were a kid in the late 90s, there’s a pretty good chance you played Pokemon Red and/or Blue version. Think what you will of the new installments, but these old games will forever hold a warm and fuzzy place in our hearts. At the end of 2013, a mini-series about the original games entitled Pokemon Origins was released, and it couldn’t have been better. So sit back and get ready relive your childhood like never before. For those of you expecting this to be a reboot of the animated series, it’s not. The storyline in the animated series is very different from the one in the game. Sure, you follow the story of a young boy and his rival as they strive to become Pokemon Masters, but the games’ protagonist who is named Red – that’s right – actually does become a Pokemon Master – sorry Ash. After becoming the Pokemon League Champion, you and your Pokemon would become immortalized forever in a portrait commemorating your victory. Ash would sadly never learn this. I know what you’re going to say. “Wait, the main character of the Red Version was named ‘Red’? That’s dumb. Is that why it asked if our named was ‘Red’ instead of ‘Ash’?” Yes. Regardless of what you picked as your name in the game, Red was the intended protagonist and Blue was his rival. Stupid? Maybe, but this mini-series actually gives reasoning as to why our hero’s name is Red, which was something the game never went into for obvious reasons – considering you could pick to be named something else. There are plenty of other additions to this mini series, but I’ll get to those in more detail later. The real impressive factor of this mini series is how they actually do an amazing job of mirroring the old game format and text. Whether it was bringing up old save screens to bridge the gap between episodes or actually hearing Professor Oak’s welcome speech, there are countless surreal moments and nods to our younger selves – but again, more on this later. Despite it taking over 45 hours to become a Pokemon Master in the game, this mini series managed to condense everything into four episodes, each approximately 25 minutes in length. At the end of each episode you ‘save your game’ and the next episode loads up and tells you what has happened in the meantime. This ‘earlier in your adventures’ feature was actually a part of the FireRed/LeafGreen versions, which were a reboot of the original Japanese versions of games. 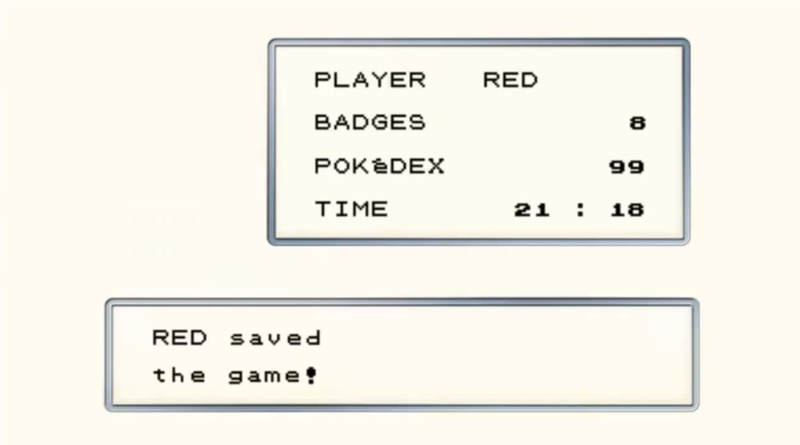 By breaking up the episodes like and skimming over other parts in this ‘recap’ format, we not only get to see Red hit 150 Pokemon, but also are able to spend more time on story elements we might have missed out on during our play through all those years ago, such as Giovanni’s control over Team Rocket. On the other hand, some story elements we will never forget. Anyone who’s ever played the original games will remember Lavender Town. From it’s themes of death, possession and murder to its creepy as hell soundtrack – seriously take a listen – it offered up a stark contrast to the rest of the Pokemon universe which was all about friendship and battling together as one. Since then countless urban legends have been put forward about the events that took place in this town. The most famous of which is referred to as Lavender Town Syndrome, which reportedly caused countless child suicides during the original Japanese release of the game in ’96 – again, all urban legends. With so much fan theory and creepy memories, it makes sense that an entire episode would be devoted to this town and its somber events. The main story of Lavender Town revolved around the Pokemon Tower – a building designed for paying respect to dead Pokemon – becoming haunted after Team Rocket decided to take over the building. The ghost in question was actually the spirit of a Marowak who had been killed by Team Rocket for trying to protect its baby, Cubone. If you thought the original artwork for Cubone was sad, just wait until you see this crying baby Cubone clutching at Mr Fuji’s shirt. Since we first read Cubone’s Pokedex entry as “the lonely” Pokemon and saw its character design, we immediately felt sorry for it. Again, it’s only natural that such a powerful – and stand out – moment from the game would get proper time in this mini-series. The 2nd episode entitled “Cubone” does a wonderful job of not only retelling the story, but also making it just as tearful as the original. If you didn’t shed a tear for Cubone back then, you will now. Whereas some elements were put in true to form, others were expanded upon with some creative additions. One such example was Viridian City Gym Leader and Leader of Team Rocket, Giovanni. In the games, we foiled his plans and that was about it. 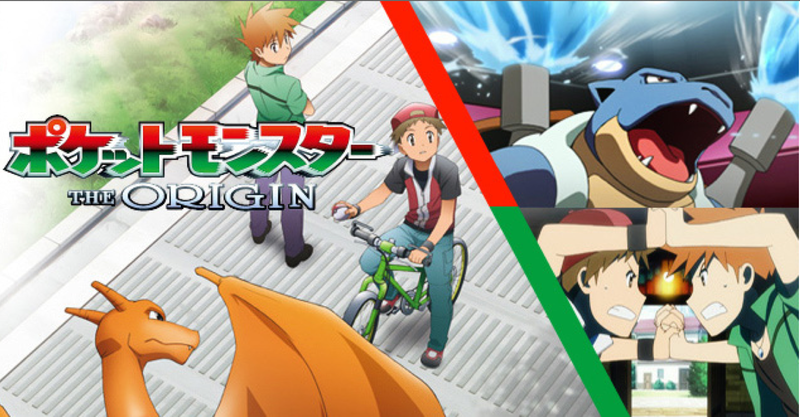 Later installments would add some depth – like how your rival in Gold/Silver was believed to be his son – but Pokemon Origins took his story in a different more redemptive direction. 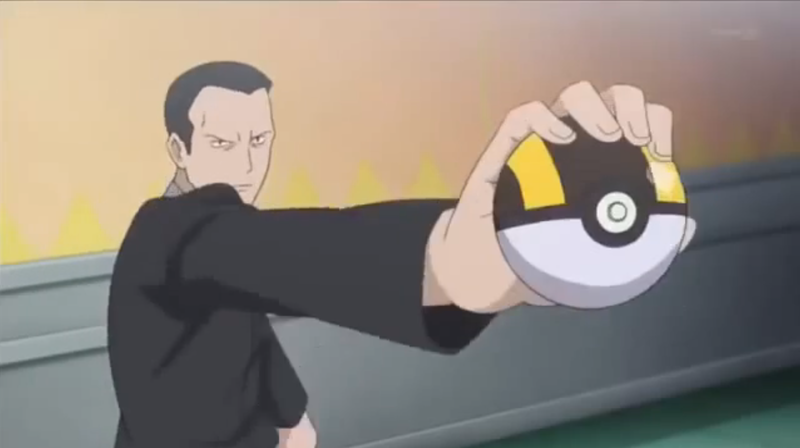 Inspired by Red’s tenacity, Giovanni suddenly finds his passion for Pokemon battles renewed. Throughout the 3rd episode, entitled “Giovanni”, you get to see a man who thinks Pokemon are nothing more than tools for business, but starts to recall a simpler time before that. Giovanni sees a younger version of himself in the trainer and starts to contemplate what’s changed in his life that took him down this path. It might seem a little fanciful, but that’s what Pokemon is all about – and considering how sad the prior episode was I think we can allow this happy ending. Needless to say, Pokemon is quite unrealistic – really, trust me on that one – but there were certain elements that really never made sense even if you did suspend your belief. One such moment was whenever you entered a Pokemon battle in a building or small space. Sounds like a dumb idea right? Well turns out it is. 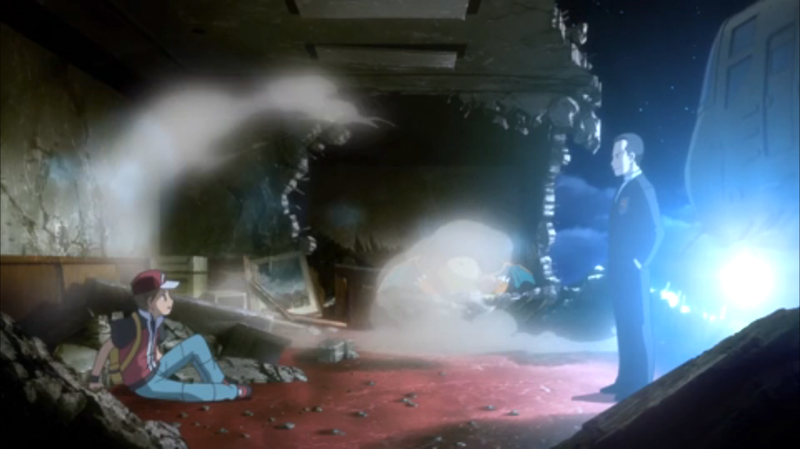 During one scene, Red and Giovanni battle inside someone’s top floor office. It’s a nice roomy office – don’t get me wrong – but two large Pokemon like Charizard and Nidoqueen battling in this confined space ends with the entire top floor exploding and the building itself losing power. Unable to stand up to Nidoqueen’s immense power, Charizard and the building itself crumble. Clearly you can’t have so many consequences in an old time kids game from the late 90s, but it was refreshing to see this mini-series add that dimension to it. These are powerful creatures battling, there’s bound to be consequences – which brings us to our next topic. No telling of Red/Blue version would be complete without all 150 Pokemon, and so we come to the genetically enhanced/perpetually berserk being known as Mewtwo. In the original game, Cerulean Cave was just another place for you to explore, but here there is actual reason for entering. 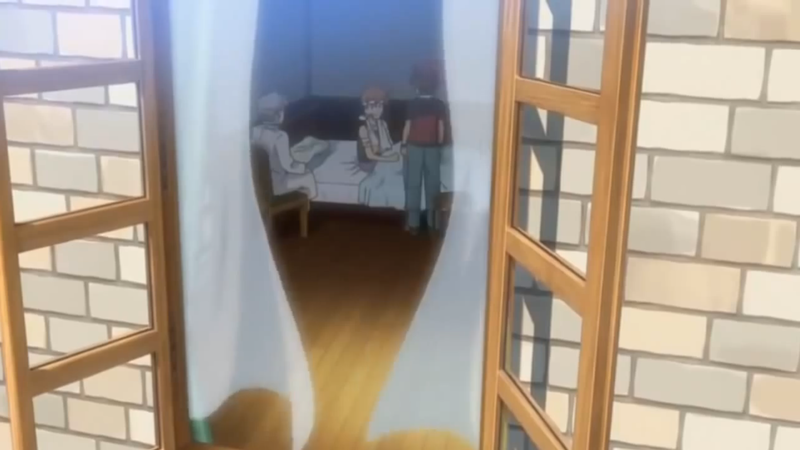 As Red returns to inform Professor Oak of his Pokedex completion, he finds Blue injured by a mysterious 150th Pokemon. Determined to beat Red and reclaim his place as Pokemon League Champion, Blue decides to train in Cerulean Cave where he meets a Pokemon he’s never seen before. During the ensuing battle, Mewtwo not only demolishes Blue’s team, but also crushes him underneath his own Blastoise. This isn’t the cold, calculating Mewtwo we met in Pokemon: The First Movie. This Mewtwo is pure rage. No speech, just pure destructive power. After hearing about Blue’s condition, Red learns what he can and decides to go face this monster – without the aid of a Master Ball. 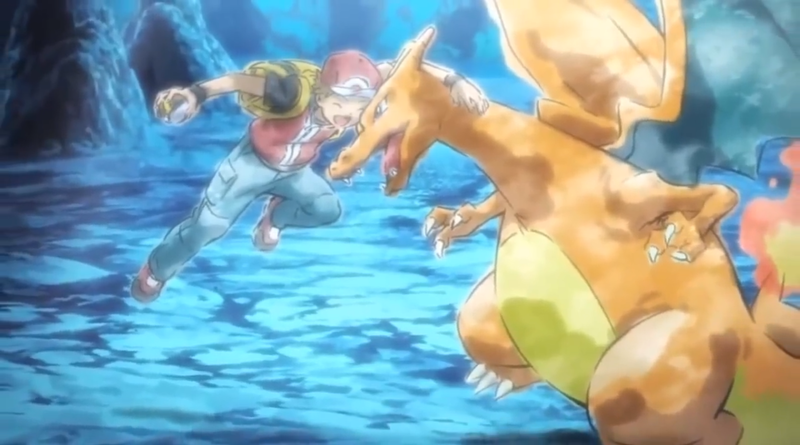 The ensuing battle is simply amazing and ends with Red’s Charizard not only saving Red’s life, but also Mega Evolving. Being introduced in Pokemon X/Y, Mega Evolutions at first seem a little out of place in this story, but is actually a nice addition. After Mega Evolving, Charizard completely overpowers Mewtwo with just one punch. Instead of being something that just ‘happens’ if you have the right gems like in the new games, here Mega Evolutions require a pair of gems – not Pokemon specific though – but really fully on the bond between trainer and Pokemon. In this their ultimate test, Mega Evolution serves as a testament to everything Red and Charizard have been through. Its great to see the overarching story of this mini-series follow that of the original games, but the moments that really made me happy were the tiny little inside jokes that all of us original players would get. Whether it’s getting tricked into buying a worthless Magikarp outside Mount Moon or having someone in Lavender town joke about seeing a ‘white hand on your shoulder’, there are references that only someone who literally played the game will get. Moments so unimportant that they would never show up in any plot summaries. Rock or Bait? Rock or Bait? NOOOOO don’t run away!!!!!!! The best of these had to be when we see Red facing a Chansey in the Safari Zone. In the Safari Zone, you couldn’t battle wild Pokemon. You had 4 options: Throw a Rock, Throw Food, Throw a Safari Ball, or Run. Some Pokemon spooked more than others, but the most difficult was always Chansey. Seeing Red freak out when Chansey turns and runs was a moment everyone could relate to at one time or another in the Safari Zone. If you were a fan in the late 90s, you owe it to yourself to watch this miniseries/movie. From all of its references and inside jokes, this was truly made for the original fans. Forget about competitive breeding, 700+ species, Poke-gods, and everything else that has been added to the series in recent years. This is Pokemon in all its original glory and you owe it to yourself to reminisce like this – at least for one last time. It was something awesome to watch this mini-series, i almost cried. Pure honour i guess. Red is still mmost overated character ever.